Homemade schnapps is very easy to make, requires little or no equipment, and the results are absolutely delicious. 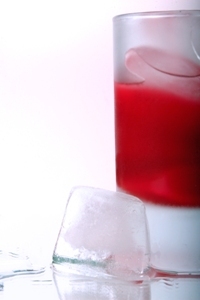 Schnapps made at home consists of fruit, herbs, or berries that have been soaked in quality, high proof alcohol. You can use vodka, pure grain alcohol, or your favorite brand of schnapps. When can you serve schnapps? It’s appropriate to serve schnapps at a cocktail party, during dinner, with appetizers, after dinner, or simply as a nightcap. Many people find they enjoy schnapps added to hot chocolate, coffee, or tea for an interesting and delicious twist on some old favorites. Pomegranate schnapps has a wonderfully fruity and sweet taste that can be served with most meat other than beef and is a fabulous accompaniment to fruit desserts, chocolate desserts, or ice cream. Want to make your midday meal a bit more special? 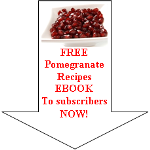 Serve pomegranate schnapps with a cold fruit salad and soup. This beautiful golden red schnapps can be substituted for pomegranate juice in many recipes as well if you enjoy experimenting with new flavors. Visit your local liquor store or drive-thru and ask them if they carry pomegranate schnapps or schnapps in your favorite flavor. If you’d rather taste it before investing in an entire bottle or making your own, ask your local bartender or restaurant if they have some pomegranate schnapps on hand to try. We’re sure you’re going to love it! put seeds from 2 pomegranates into a glass jar. add vodka 40% alcohol to cover the fruit. let it sit for about a month in a dark room at 18-20°C (64-68°F). shake a little every once in a while. strain into a clean jar and close tightly. store in a dark room at room temperature for about a month. Serve to your guests at your next party. Read enough about homemade schnapps and want to discover more about the antioxidant drink?